The Wedding Singer | Make your wedding day something special and something to remember. You only have one chance to make your wedding day fantastic, so let’s make it a day that everyone will remember forever. International vocalist Ian Gallagher can create that amazing atmosphere that can only be achieved with a live performance. Whatever your vision is for your wedding entertainment Ian can bring a special touch of class and romance, leaving you with treasured memories of an evening filled with fun, happiness and celebration. With 25 years of experience, including having the honour of singing at Sir Andrew Lloyd Webber’s wedding, Ian’s repertoire of over 2000 songs means that his performance can be tailored to your exact needs. Although his speciality is songs from the era of the great singers like Frank Sinatra, Nat King Cole and Bobby Darin, music genres are varied and everything from pop classics to classical arias are covered. Many pop standards, party songs and even dance music can all be included, making it exceed all your expectations. Ian can perform solo with backing tracks or provide live music from a trio to full orchestral backing. Whether you want a romantic theme or party atmosphere where everybody gets on the dance floor, from that very special ’first dance’ to the last of the evening his ability to ’read’ the room ensures a memorable evening that you and your guests will treasure. 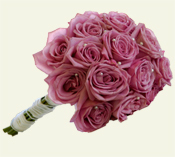 Ian and his team of dedicated professionals have vast experience and particularly specialise in weddings. Our philosophy is to provide you with a personal service to ensure your wedding day is absolutely perfect and can promise you class and reliability all the way. We will help you find whatever you need to make your day complete and can source a photographer, toastmaster, DJ or any tribute artists. We offer you a bespoke service for every stage of your special day with music to suit your vision of each part of your wedding. Ian promises you musical excellence and peace of mind. We can provide outstanding professional soloists from the National Opera Company and West End Productions and first class musicians in all styles from romantic rhythms to pulsating disco beats. Our aim is to turn your dreams into reality. Your wedding day is one of the most important days of your life where everything must go to plan. We know how much this matters to you and will be with you every step of the way. We give our full commitment to you and your wedding to help create a day that’s timeless in style but with your own unique touch.